I created this piece while waiting in my car in the dark, and it was pretty cold outside and inside the car. I could barely see what I was doing. Thank goodness I had these glow-in-the-dark paint pens with me! [Pg 222] Pip is so excited and nervous awaiting the arrival of Estella, that he stalks the station in London way before her coach has even left the Blue Boar back home! While pacing outside the London station he runs into Wemmick. (He’s the clerk for Jaggers and treated Pip to an unusual meal at his homemade castle.) Wemmick discusses a bit of work (a legal case) with Pip and asks if Pip would like to accompany him to Newgate Prison. 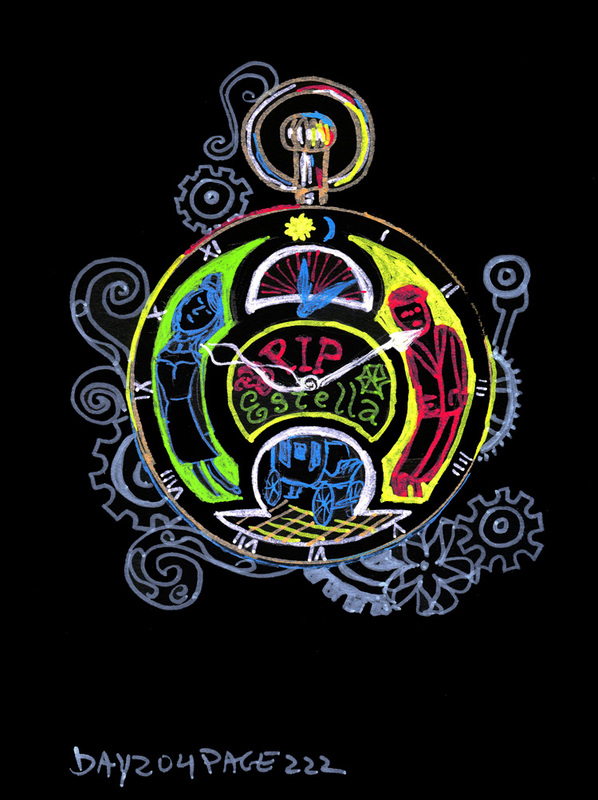 “Have you time to spare?” Does Pip have time to spare?! Yes, indeed! Plus he needs the distraction until Estella arrives. 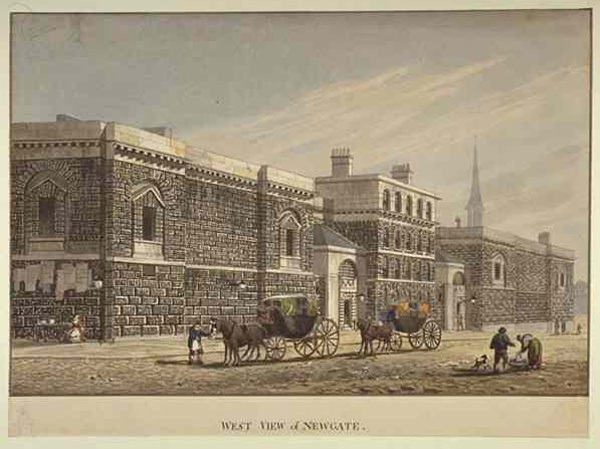 Newgate Prison was demolished in 1904. Thanks for the information!